What do we do with the garbage we pick up? The City will pick up any litter you collect as long as you leave it near the roadside where you picked it up and let the Highways and Bridges Department know you have left it (203-924-9277 or n.walsh@cityofshelton.org). If you have only one or two bags, please include it with your regular trash pickup rather than calling HIghways and Bridges. Note: NO HOUSEHOLD CLEAN-UPS (junk from attics and basements) will be hauled by Highways & Bridges. This event is only for litter. Public Works has information about proper disposal and recycling of special materials on their webpage. 2. Where can we get garbage bags? Bags and gloves will be available at the Community Center Parks & Rec office and City Hall (Mayor's office, 2nd floor, and from the Conservation Agent, room 102) while supplies last. 3. Does our event have to be on Earth Day? No! Shelton Clean Sweep is very flexible. Do it when you can, preferably that week, but this is not critical. 4. How do I get patches for my participants? 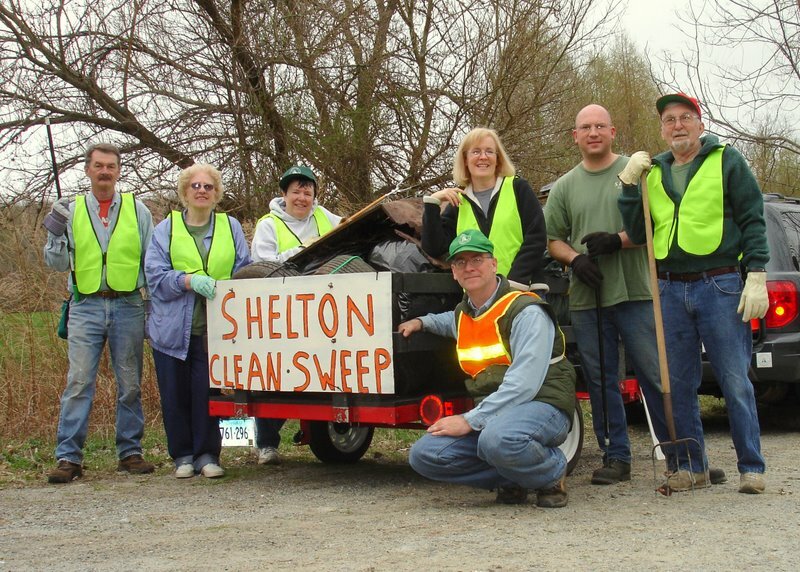 We have "Shelton Clean Sweep 2013" patches and certificates that will be handed out free of charge to all participants who return to this website after their event and enter the names and addresses for everyone who participated. (A new online form will be set up but will not be viewed by the public). All participants will be invited to City Hall to receive their certificates from the Mayor. This was something many Scouting groups in particular enjoy. 5. 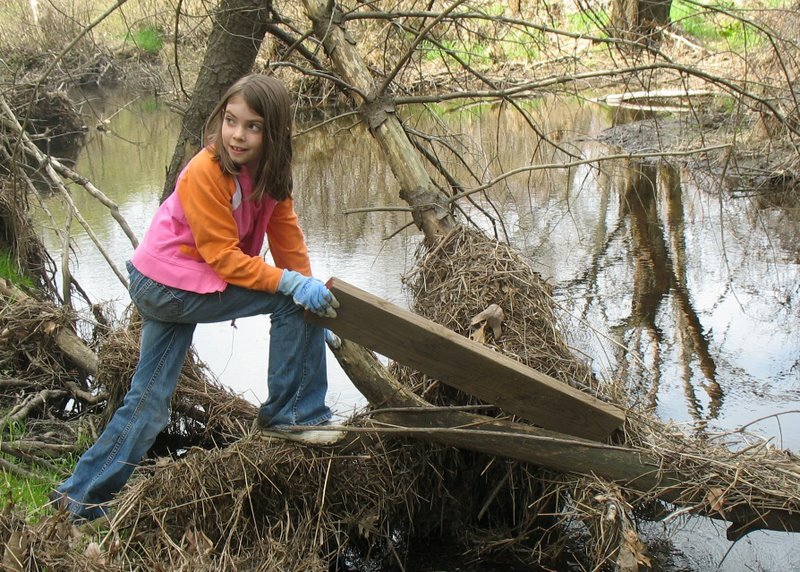 How do I get credit for High School Community Service hours? Register your clean-up, keep track of your hours and what you do, take a couple photos, then stop in to see the Conservation Agent. If you can't make it during the Agent's normal hours (8:30-2:30 Mon-Thurs, sometimes later), just call to make special arrangements (203-924-1555 x1315) or email conservation@cityofshelton.org. 6. What hazards should I be aware of? Poison ivy is very easy to get in April - wear long pants and gloves. The tiny leaves are just starting to open and are often red. Sharp objects, such as glass, nails and needles may be a hazard. Traffic can be a hazard: Streets may be closed to traffic by the Police Department if requested, but some cars will still go around the barriers and speed down the road. Posting an extra sign or having someone at the road entrances to explain the clean-up is suggested. Participants should be sure to wear bright colors (preferably safety vests) when around traffic. 7. I know of some land that needs cleaning - can I select that property even though I don't see it listed? Absolutely. But if it is private property, be sure to obtain permission from the property owner first. 8. How do I get my neighbors involved? It's much easier than you think - many people are willing to become involved as long as someone ELSE starts the ball rolling. We have created a flyer template you can use. The form is an MS Word document - you can either print out the form and fill it in by hand, or use your computer to complete the flyer. Download the Neighborhood Event flyer. Just pick a date, time and location, fill out the flyer form, and distribute to your neighbors. There may be some neighborhood kids willing to distribute the flyers for you. 9. How do I get a street closed? The Police Department may be able to close the street for you. Stop by the Police Station and fill out a request. If approved, they will drop off road barriers before the event for you. Major streets or state highways cannot be closed. Note that there may be too many requests for street closures at the same time as we approach Earth Day, so plan early and check with the Police before you send flyers out to your neighbors. You might need to schedule your clean-up on a different date in order to have the road closed. Note: Some cars will ignore the barriers - if you have children in the road for this event we suggest you post large signs near the barrier that say kids will be in the street, or have volunteers talk with each driver that wants to go past the barriers.